Joker director Todd Phillips shared a black and white image of himself with the simple caption of, "here we go." It is rumored that production on the standalone Joker film will begin on the tenth of September, which is only a handful of days away, and means that Phillips is entrenched in the pre-production process and gearing up for what should be a very memorable performance and character study from Joaquin Phoenix. Phoenix has been spotted around New York City lately after losing some weight and growing his hair out to take on the role of the Clown Prince of Crime. The Joker movie hit a bit of a speed bump earlier this week when it was announced that Alec Baldwin had signed on to the project to play a version of Thomas Wayne that is based off of Donald Trump. The casting seemed perfect, but Baldwin quickly let everybody know that he had to back out of the film due to a scheduling conflict. Todd Phillips and crew are probably scrambling to find a replacement for Baldwin before filming officially begins. 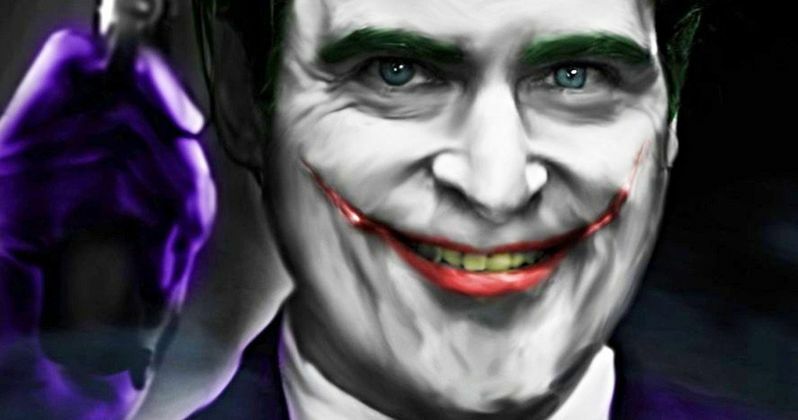 In a recent interview, Joaquin Phoenix revealed that he wasn't worried about audience expectations when it came to his role in the Joker movie. The actor tries not to let outside factors influence his work, and likes to have the characters guide where the project goes. DC fans are definitely curious to see how Phoenix pulls of this feat, but the actor has warned that this isn't going to be a normal superhero movie. Instead, we're going to see something with a smaller budget that delivers a character study and gets down to the nuts and bolts of how the Clown Prince of Crime thinks. Warner Bros. and DC Films have described Joker as an "exploration of a man disregarded by society (that) is not only a gritty character study but also a broader cautionary tale." It has been heavily rumored that the film will show the main character as a failed comedian in the 1980s taking influence from The Killing Joke graphic novel by Alan More and Martin Scorsese's The King of Comedy. However, this has yet to be officially confirmed at this time. Joker is scheduled to hit theaters on October 4th, 2019. Since production is gearing up to start, the movie should have no problem meeting its release date. The film will take place outside of the DCEU with some fresh ideas from Todd Phillips and Joaquin Phoenix, which should prove to be pretty interesting. Phillips has a successful background in comedy, while Phoenix has a successful background in method acting, which has earned him Academy Award nominations over the years. The Joker movie already has a lot of pressure on it, but that doesn't seem to bother Phoenix in the slightest. You can check out the new photo teasing the production start of Joker below, provided by Todd Phillips' Instagram page.